Tooth whitening is a straightforward, non-invasive procedure that uses carbamide peroxide or hydrogen peroxide to whiten the teeth. The procedure can be done at home or in the dental chair. While many whitening options are now available, including over the counter products, dentist-supervised treatments remain the safest and most effective procedures for lightening discoloured teeth. Here at United Smiles, we know what exactly works best for your smile, offering you the best and longest lasting systems. We only use professional-strength hydrogen peroxide gel using special Zoom! Light. After the entire process, your smile is now up to eight shades brighter. No lacklustre outcomes. No damaging side effects. Only a healthy white smile. Tooth discolouration can be caused by different factors such as genetics, poor dental habits, trauma, medication, ageing, smoking, certain foods and beverages. Fortunately, we can change all that and provide you with the best and most reliable results when it comes to dental bleaching. Our teeth whitening systems can transform your stained teeth to Hollywood smiles in just 1 HOUR! Our systems offer long-lasting results, and with good dental care habits, you will experience very minimal whitening loss over time. Most of all, our treatments are completely safe and won’t damage your teeth or gums. Not everyone is a good candidate for dental bleaching. If you are considering the treatment to enhance your smile, you must visit your dentist first for comprehensive examination. Zoom! Teeth Whitening System has the best cosmetic bleaching available. Other over- the counter whiteners or dental whitening procedures such as whitening toothpaste, strips or whitening gels may help brighten your smile but nothing compares with the one that provide safe and lasting results. With Zoom! Whitening, your smile can get an average of 8 shades whiter in just 45 minutes. It has also been clinically proven to be safe and effective. Your cosmetic Mernda dentist will make a tray to which a safe whitening agent is applied. The tray is custom made to fit your teeth comfortably. You can wear the tray anywhere from 30 minutes a day to overnight. 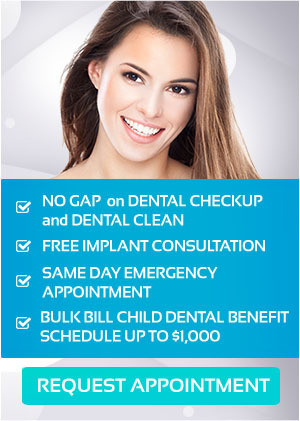 This depends on the solution your dentist find most suitable for you. Contact United Smiles on (03) 8682 8658 or book your appointment online and claim your FREE Teeth Whitening Consultation today!